If you run a business — any type, from bagels to brokerages — a decent website made with one of the many website builders is fundamental. Companies denying or overlooking this fact in 2018 may be digging their own graves (not to sound extreme, but come on, people). According to a 2017 Clutch survey, 29 percent of small businesses lack a proper website. In the same survey from the previous year, 30 percent said that cost is the main deterrent from developing a website. If you don’t have the scratch to spare, it’s understandable to put off the process of learning how to make a website. Social media profiles are an acceptable placeholder; 31 percent of small businesses managed social media profiles in place of standalone websites in 2017. But to push your brand into the spotlight, the numbers underline the advantages of website owners: 88 percent of small businesses with a revenue of $1–$5 million have URLs to their name. That’s just the name of the game in our internet-driven society. Unfortunately, your future site is not going to develop, maintain or pay for itself. 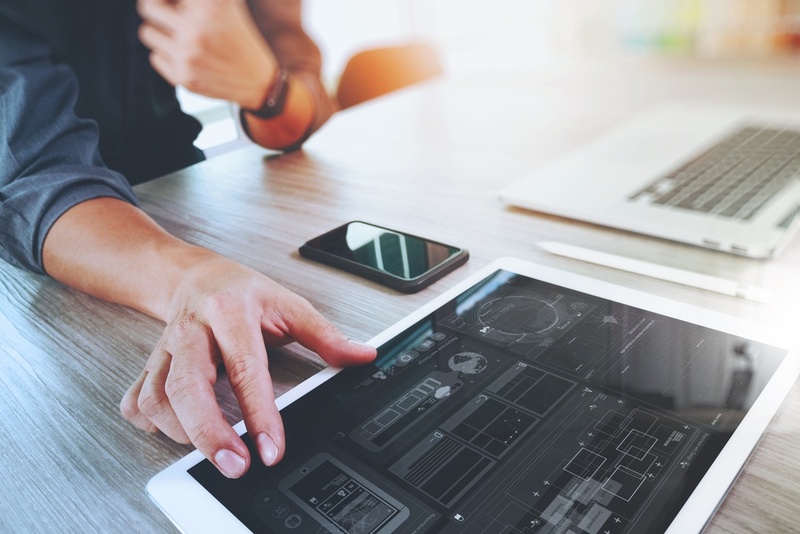 From domain registration — not to mention finding one that’s still available — to design, web hosting, testing and so on, website creation is a unique chore demanding both human and financial resources. To help alleviate some of the burden, there are website builders offering free, easy-to-use solutions for creating beautiful business websites. Websites these days comes in all shapes and sizes, as you’re probably aware. But you can make a big statement with just a couple of informative, eye-catching pages and calls to action. Many free website builders are like IKEA furniture, empowering non-developers to create functional and impressive sites by following some basic instructions, often with drag-and-drop tools. A little bit of coding can unlock other possibilities in a number of these products. And though advanced plans exist to help you scale when the time is right, one of the following pocketbook-friendly solutions could go a long way in getting your website off the ground. TIP: These affordable website builders are great for those learning how to make a blog in 2019. Using reviews from real users, our list of free website builders is ordered by highest user satisfaction as of June 4, 2018. 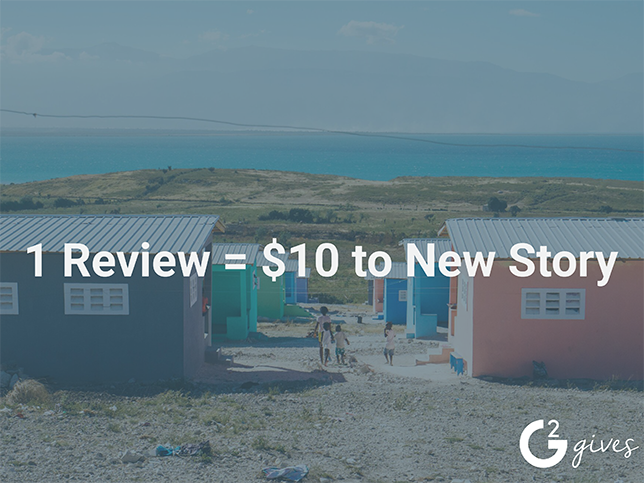 These products alone have well over 2,500 validated user reviews on G2 Crowd as of June 4, 2018, and only represent a small portion of the 60-plus website builder software offerings listed on our platform. The products are ranked by user satisfaction score and must have at least 10 reviews. Based in Tel Aviv, Israel, Wix is the third-most reviewed product in the Website Builder category on G2 Crowd. Since 2006, this platform has helped businesses of all sizes — along with creative individuals — create vivid, respectable websites using an intuitive set of tools. 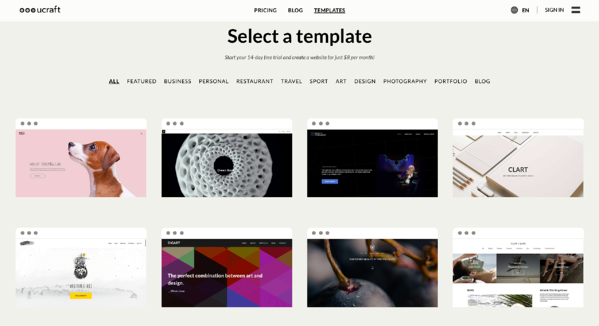 Today, users can take advantage of 500-plus templates created by the designer community or build atop a blank page to bring their website vision to fruition. 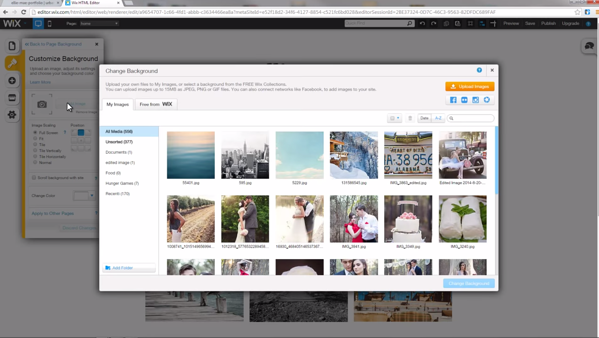 The company made headlines in 2016 by introducing Wix ADI, a feature that generates unique websites in minutes based on the user’s answers to a few key questions, with help from artificial intelligence technology. Wix’s free plan is more than sufficient for your first stab at a website, allowing unlimited pages and a mobile-compatible version, as well as 500 MB of content and data storage. It also provides secured web hosting. As your needs increase, you can sign up for one of five different paid plans. Wix premium plans remove unsightly advertisements, offer free domain registration and ramp up the storage capacity significantly. They also promise unlimited bandwidth to ensure a smooth experience no matter the number of visitors. 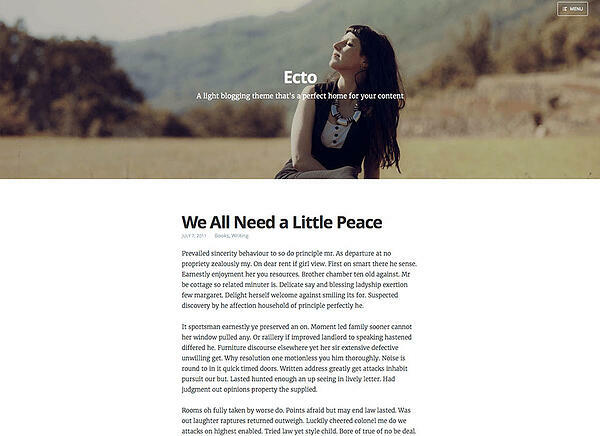 Blogging is synonymous with WordPress.com, which has helped people worldwide build simple websites for more than a decade. According to some stats from the developer, WordPress.com features user-made blogs in more than 120 languages, with around 87 million new posts produced each month. The site’s basic features are free for business or personal use, while individual or collections of upgrades can be purchased at varying rates. These include offerings such as design customization and ad removal. 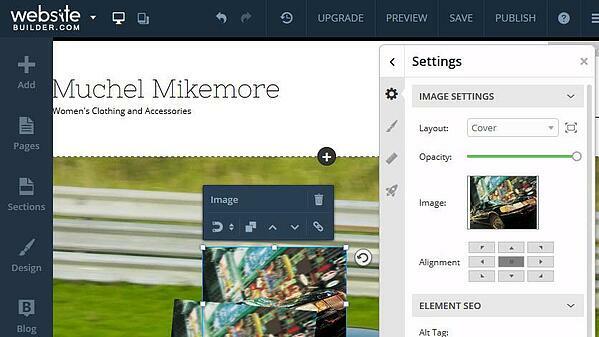 That said, you can create unlimited base-level sites using the platform’s free solution. Though hosting is included in the free plan, it involves a WordPress subdomain as opposed to a standalone URL. Paid plans, beginning with the Personal plan for $4 per month, allow users to choose custom domains (if they’re available, of course). Each paid plan also provides access to WordPress email and live chat support, while the free offering requires questions or issues be directed to the user community. The higher-level Premium and Business plans supplement the many design features with tools to help monetize your website, if and when you decide the time is right. 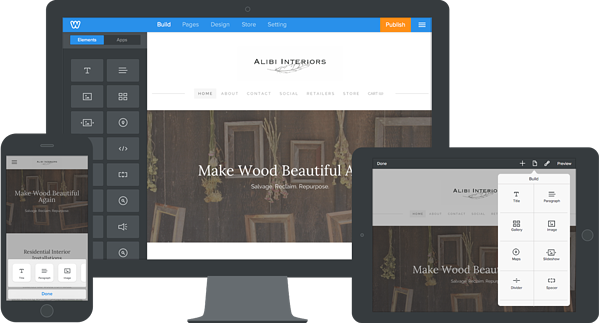 WordPress is also a popular website builder option for it's large array of free themes, plug-ins and add-ons. Those in need of a forum features for their WordPress site should check out the best WordPress forum themes in 2018. Learn more about the other major offering from WordPress, WordPress.org, the content management system used by 30 percent of websites. Don’t be fooled by the silly name; when it comes to building websites, Weebly is serious business. This drag-and-drop platform is specialized for both traditional websites and online stores and also can churn out lovely digital portfolios and event pages. E-commerce features are only offered with paid plans, starting at $8 per month, but anyone can create unlimited, hosted pages on a personal or business site for a goose egg (aka zero dollars). In addition to website building, Weebly doubles as a domain registration platform, where you can lock down a prime URL for your website. Only paid plans allow URLs to be synced to sites; sites are otherwise allocated Weebly subdomains, but you can register and connect a domain to your website at a later date. You also can transfer a previously held domain from another provider to the site you build through Weebly. All plans, including free ones, include lead capture software and SEO software assistance, as well as access to the community forum and dedicated Weebly support through chat and email. Though a relative newcomer on the scene, launched in 2014, this LA-based platform is winning over the website-building community. It currently holds a 4.7-out-of-5 star rating, the highest of any on this list, in G2 Crowd’s Website Builder category. A key differentiator of ucraft is that the free plan only includes a single landing page, but for many startups or small businesses, this can serve its purpose in legitimizing your brand and helping customers find and interact with your product or service. Users also can connect their custom domains with these landing pages, as opposed to needing a subdomain through the vendor. The ucraft website lists some other free tools on its pricing page, such as website templates and a logo maker. While there you can read up on the paid Website and E-Commerce plans, offered at $6 per month and $13 per month, respectively. All plans come with free web hosting and included support, with the latter expanding to 24/7 availability for paid users. The next free solution in the Website Builder category is the aptly named WebsiteBuilder — which shouldn’t be too hard to hard to remember. If you’re just looking for a starter website, you can take advantage of the customizable templates and free hosting provided with WebsiteBuilder’s free plan. A unique benefit is its library of 150,000 free images at your disposal, made possible by a partnership with Unsplash. WebsiteBuilder also provides streamlined integrations with various social media networks to help you promote your finished product. Paid plans on WebsiteBuilder start at the Premium plan, available to new customers at a discounted rate of $4.61 per month. Each paying user receives access to website statistics, a single domain registration and ad credits to be used toward promoting the site on web searches. 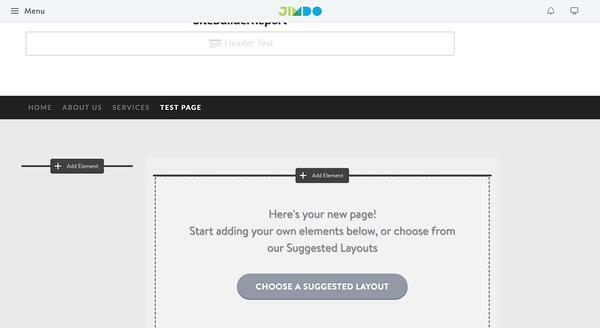 Following in the footsteps of Wix, Germany-based Jimdo released an AI-assisted website creation tool in 2017. The product, named Dolphin, promises a quality website built for you in three minutes (after collecting some important data points). You can check out some finished examples of Dolphin-made sites on the Dolphin section of the Jimdo website. Jimdo Creator, the vendor’s original product, is available as a free solution with a number of valuable features for building a website. These include the ability to embed videos, host user contact forms and add blogs to any website. Any free Jimdo website — also known as a JimdoFree website — can be upgraded to a premium account at any point, without losing any content or requiring a redesign. Read about the different benefits of each paid membership tier on the Jimdo pricing page. Web presence is a necessary evil. The good news is that it can introduce your business to hundreds, if not thousands, of people who may have never heard of it otherwise. The bad is that it takes work, patience and persistence. But tools like these free website builders are making a spectacular website more attainable than ever, without requiring a seasoned pro to create something worth showing off. Getting from point A to point B with your new website may require web hosting or domain registration, but a number of free and paid website builders include these as part of their solution. When the time comes for a deeper, more involved website, consider web design software — and enlisting the help of an experienced designer. You also can outsource the project to a website design services provider. Whichever software or services you use, share your personal experience in the form of a review on G2 Crowd to help fellow professionals around the world with their business buying decisions.